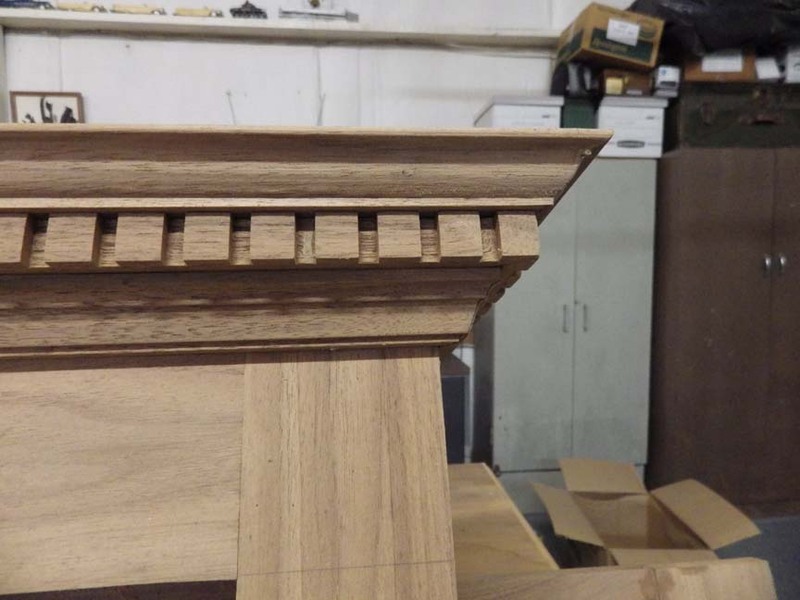 Woodworking Talk - Woodworkers Forum > Woodworking Forum > General Woodworking Discussion > How is this type of woodwork (the crown molding/trim) made? 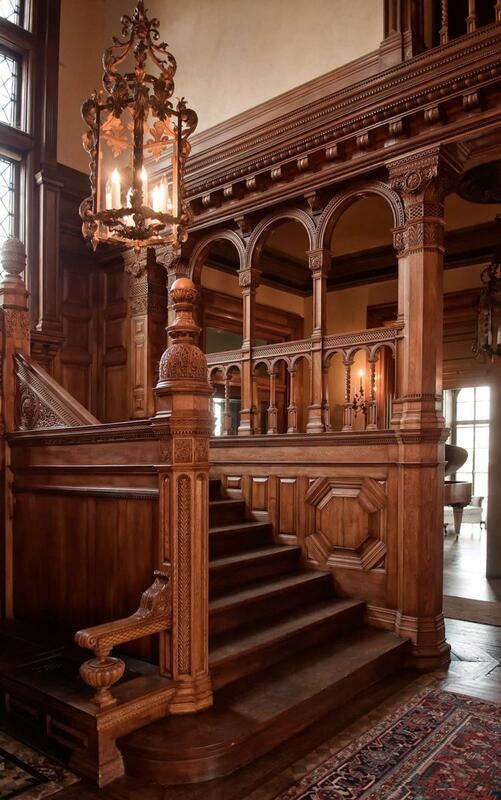 I've never actually seen this type of woodwork made before, so I would like to know how it's made. To be clear, I'm talking about the top portion (circled in green in second pic). What tools are used, what's the name for it and what's the general process please. Thanks! These days just run a strip past a shaped cutter. In the past could be done entirely by hand. Labor was cheaper back then! There is multiple layers of molding there. 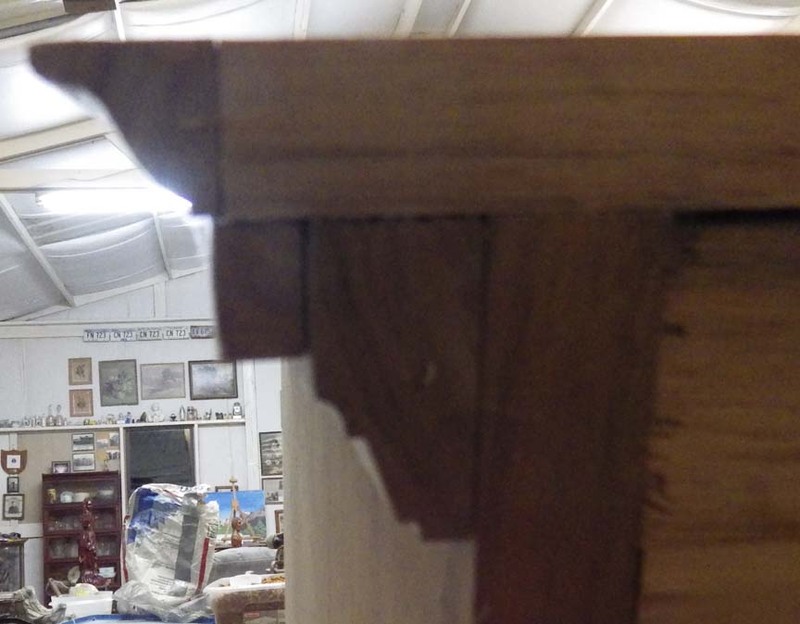 In the old days the simple trim was done with a molding plane. Today that could be done with a shaper or molder. The brackets at the very bottom are individual pieces most likely done then by a wood carver. Today they could be done with a shaper making about 4 of them on a single blank and then cut into individual pieces. The more pronounced rounded molding toward the middle was probably done in shorter pieces on a lathe and then quartered. It could be done easier today with a cnc but still could also be done by the DIY with a lathe the same way. 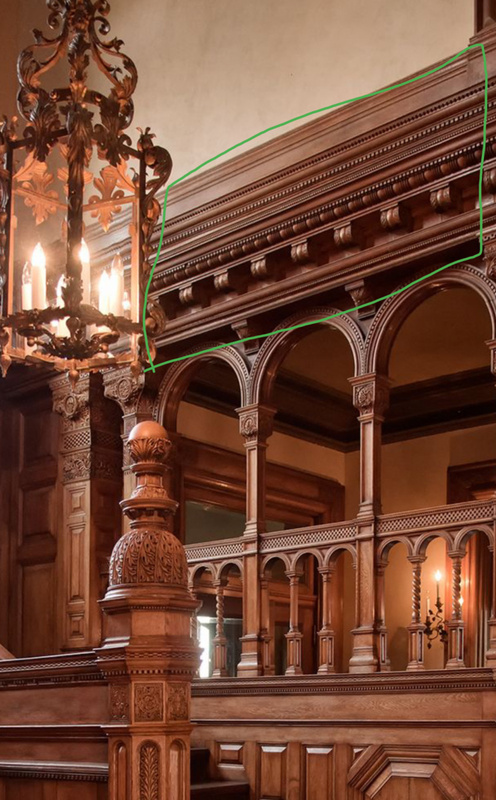 Just above that molding appears to be common dental molding. It's difficult to say from that picture. That could be easily done today by the DIY with a table saw with a 1/4" dado blade. You just make a jig attached to the miter gauge with a 1/4" wide stop located 1/4" from the blade. You just start the molding and slip it over the stop with each cut and it makes perfectly spaced dado's 1/4" apart. You could also make the flat spaces wider by positioning the stop further from the blade however most of the time it is made symmetrical. There is also a tiny molding toward the middle which appears to be rope molding. This could be done by hand or a cnc or there is router jigs which could make it. woodnthings and NoThankyou like this. As Steve said there are several ways to make each portion of the frieze in the photo. Here how to make "dentil" moldings, yes, the correct spelling! Molding is often multiple pieces of different molding. It's like this cabinet in my shop. It's three strips of molding with dental molding in the middle.